The applier I am wearing here on my Precious Fiore head is by Milan and costs just over $1,000. Now let me tell you why I think that price is worth it. 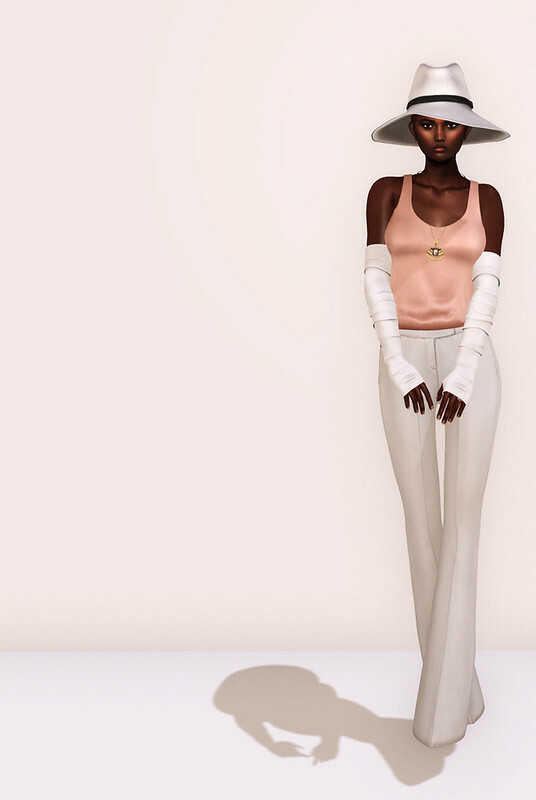 In addition to what is – IMO – one of the prettiest dark skinned appliers that I have ever seen on the grid, this applier comes with three types of hairbase appliers in lots of colors AND full mesh body appliers for Slink (hands & feet AND body), Maitreya, AND Belleza. That’s a best practice for an applier on the higher end of the market IMO. If you wear fiore heads, Milan fiore appliers are definitely worth at the very least, a demo. Not all of them are dark toned, but IMO, those are her best ones so far. Note this is the same creator as my very authentic Liu Wen mesh head, but I do not think she’s still available for sale in the store. A quick reminder that DeuxLooks contains opinions and you know what they say about those? Yeah, they’re like arseholes. Everyone has one. Your mileage my vary!